An afternoon walk south of Claverdon. It seemed ages since I had last walked with the “Boys”. 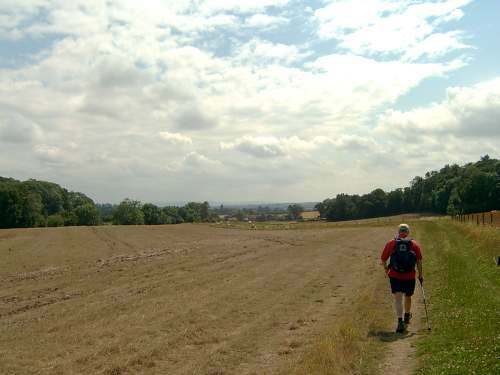 It was actually the Belvoir Challenge walk back in February 2005 when we last met up, so I was really looking forward to this ramble near to Stratford on Avon and only 6 miles from our home addresses. 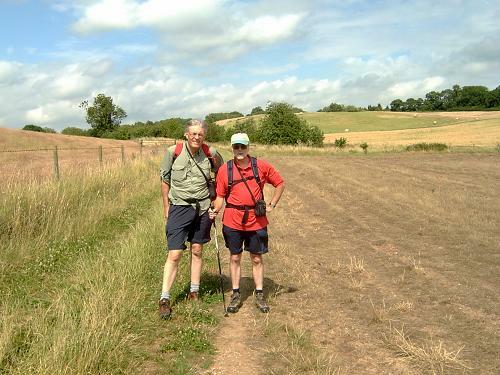 Although it was intended that Ray and Peter would be in the group, for various reasons, they could not “make it”, so it was just Larry, Mick and me who left the car park of the Red Lion Inn in Claverdon shortly after 2.00 p.m. and walked the few yards along the road towards Henley until the Old Smithy was reached. Here we turned left and immediately there was a reduction in traffic noise. The Warwick to Henley in Arden Road can get very busy and noisy. 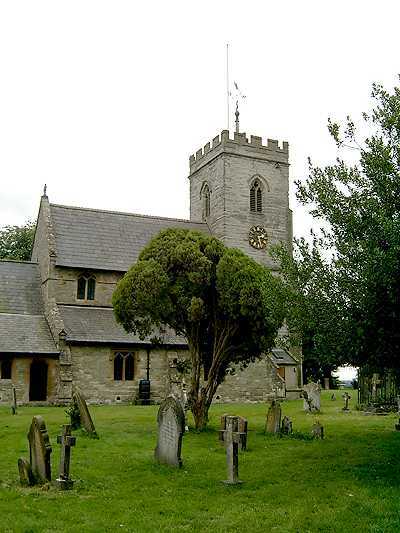 Larry, who had done most of this walk before, was in charge of navigation and after walking a short distance along the road took us by the local church, St Michael’s, and through its churchyard to the residential area beyond. 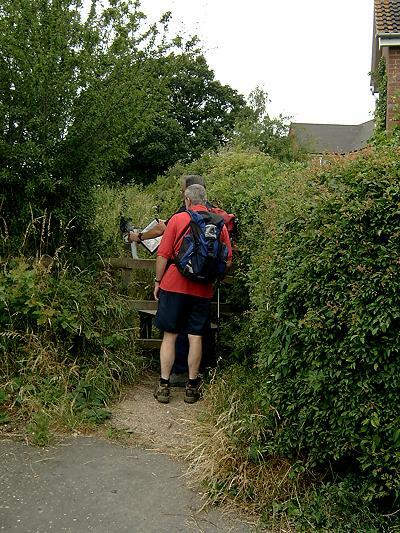 Our route was then north-west along St Michael’s Road until the T junction with Langley Road was reached. Crossing straight over the road we took a footpath between houses into a small residential close and, continuing in the same direction, crossed a stile into open countryside. Shortly after, having crossed another stile, we went left and followed the hedgerow until another stile was crossed into a lane beyond. Here our way was to the right, but almost immediately the lane turned left (outside “The Lake House”) and for the next 10 minutes we followed this path south west, with some really good views of the south Warwickshire countryside on our right, until the Langley Road was again met. Here we turned right and soon after, as the road turned left, we crossed a stile on the right, with a sign by it to remind walkers to “leave only footprints and take only pictures”. The views along this stretch of the walk were really good, particularly as we went downhill to meet a group of cows blocking the exit from the field. 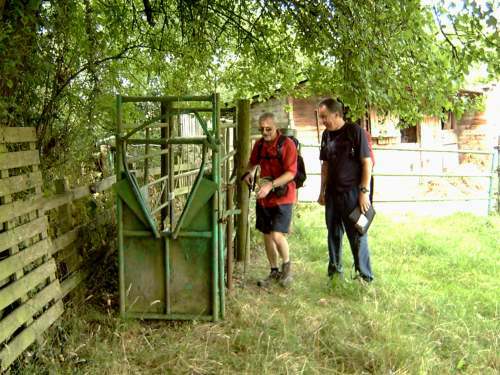 However, they were, to Larry’s relief, very well behaved and with minor coaxing allowed us to cross the exit stile where Larry explained graphically, with the help of Mick, how the piece of farming apparatus located nearby was used. 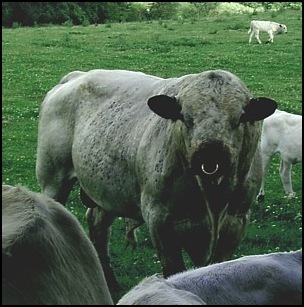 It seems this equipment was to ensure individual cows could be held firmly in place while they were “serviced” by the local bull. Leaving this field we emerged on Kington Lane in an area called Tattle Bank with Larry still explaining the finer points of servicing a cow – how does he know all these things? Having turned right we walked past a private road on our left – Kington Rise - before turning left on a wide private lane/bridleway, called Chestnut Rise, which went southwards. This part of the route was familiar to me as I had used this path in the past when I had done other walks in this area. 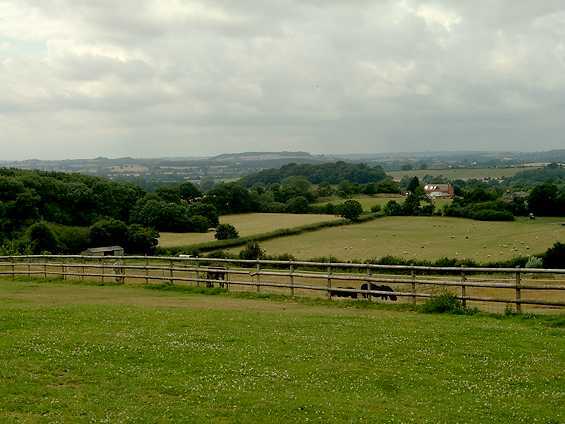 Soon the bridleway veered to the left of a large property and soon we were descending the hillside, before passing Cutlers Farm on our right. 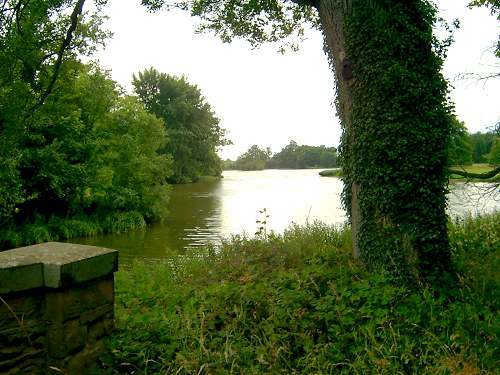 At this point the bridleway became a lane which passed, via two bridges, over the lake by Edstone Hall. As we stopped here to admire the view, we suddenly became aware of a heron breaking cover from the waterside reeds and flying into the distance. Needless to say none of this trio was quick enough to get a picture of the bird. 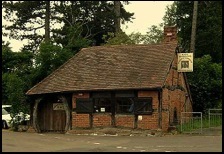 We continued and the road that goes between Bearley Cross and Norton Lindsey was soon reached, where we turned right. A few yards walking along the road and on our right was Newhouse Farm, and on our left a right of way, which we followed across a field and over the single track railway line that goes between Hatton and Bearley West Junction, which are on the outskirts of Warwick and Stratford on Avon respectively. 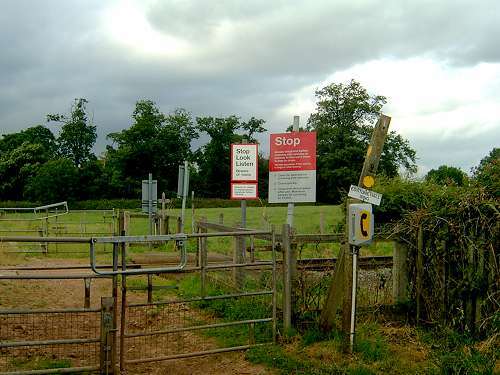 Having crossed the line safely, making sure that the barrier gates were secured properly – none of us fancied the maximum fine of £1000 if this task was not completed correctly – we continued southwards towards Bearley Village. Up to now the weather had been beautiful, but now the sky was getting darker and Mick spotted what looked like rain coming from the west. Soon after, our path became overgrown with stinging nettles and brambles, which we were in the middle of negotiating, when the first rain spots arrived. 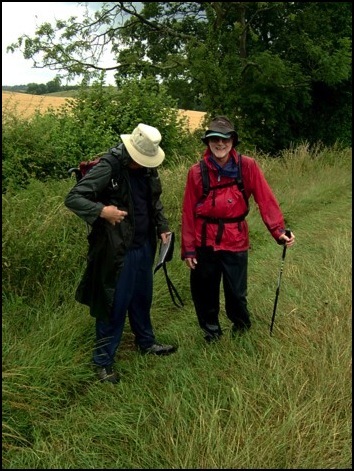 At this point Larry, who was wearing long trousers, was some distance in front, while Mick and I, both in shorts, were walking with more care as the undergrowth was being quite vicious towards our uncovered legs; and then the rain came with a vengeance. So Mick and I dived into the hedgerow, ignoring the nettles, and waited for the rain to stop, which it did in a very short time. We then continued on our way through the now wet vegetation and met up with Larry on the outskirts of Bearley. Going south towards the centre of the village, we reached the Old Snitterfield Road where we turned left and in a few metres or so reached the Bearley Road that goes between Snitterfield and Bearley Station. Here it was left and shortly after we took a footpath, again on the left, that went down a driveway, towards a house. Passing to the right of the property, we crossed a small bridge, entered a field and crossed the left corner of it to a stile. And then the rain came again. This time it was much worse, and this time the shelter was non existent so we all put on wet weather gear. Larry put on a long waterproof coat that reached down to his ankles – I’ve got one very similar and wish I’d had it with me – Mick not only had a waterproof coat but also over trousers, which, because he has only got little feet, he was able to easily slip over his boots. Me? I too had waterproofs, but there was no way I would get my overtrousers over my size 12s without taking my boots off. So I just donned my waterproof coat, crossed the stile and we trudged on. 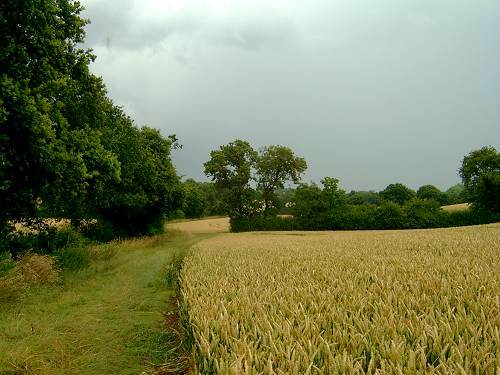 And the rain continued as we went over more fields and I could feel my shorts getting wetter and wetter. 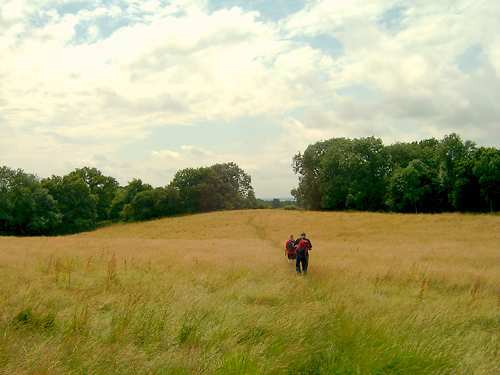 And then relief; after about 10 minutes the deluge ended and the sun shone and we were happy hikers again and by the time we reached the Norton Lindsey and Bearley Cross Road once more, having turned left onto the Monarch's Way to reach the road, we were all fairly dry. 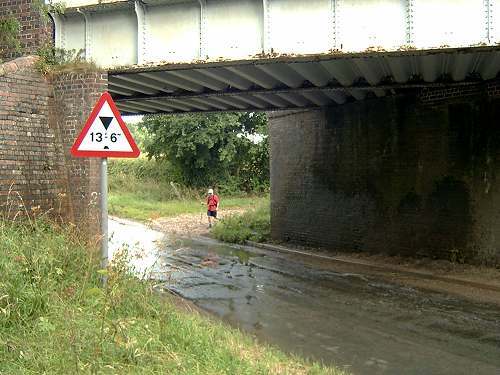 We arrived at the road by the railway bridge, turned left under the bridge, and took a path that went right along the northern side of the railway line. Not the best route; the field, through which our path went, was inhabited by cows. Young inquisitive cows that ran straight at us, but fortunately stopped before trampling us to the ground, which I think is what Larry was expecting. They then started walking just behind and to the side of us and I think we all were relieved, but especially Larry, when a stile was reached and a barrier was then between us and the livestock. 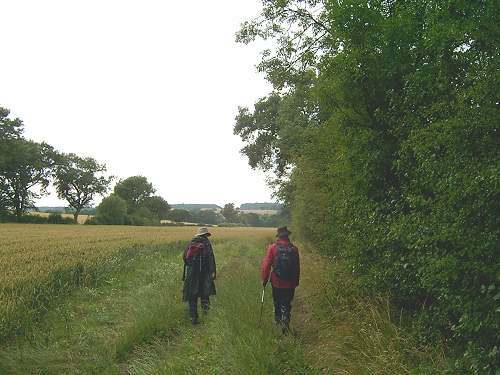 Then it was a prickly walk for Mick and me through undergrowth before we emerged on the road to the south of the village of Langley. Although I’ve lived in this area all my life I can’t remember having ever visited, or even having passed through Langley before. It looked a pleasant and quiet little community with church and an adjacent church hall that was constructed in the 19th century. Having left the village, at a left hand bend in the road we intended to take a path on the right. 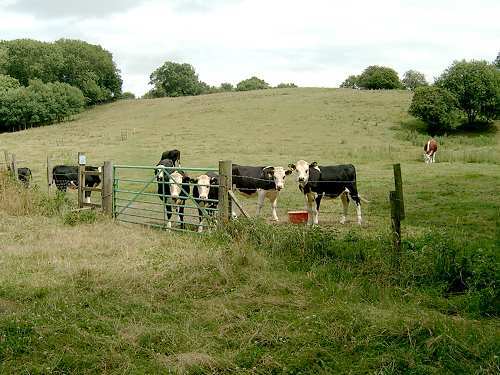 We saw the sign; we saw the stile and our route along the edge of a field. 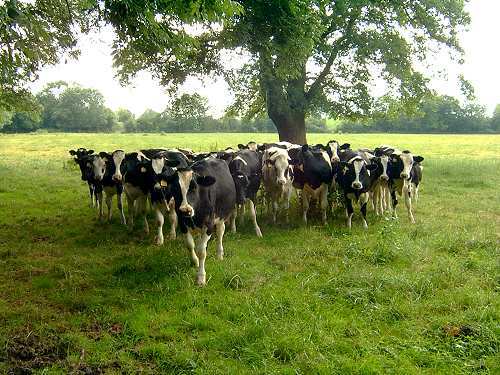 However, we also saw the cows that were in the field and making a “B line” to the stile and us. And with them was a beautiful big beast with a ring through its nose. Although Mick and I are not too uncomfortable about being in a field with cows, when they are with their “old man” we are less inclined to share their environment, so we continued along the road, which became very steep (1 in 6) at a 90 degree right turn. However, soon after this bit of ascending exertion we reached another path on the right and followed this down a short lane, which became a track, before reaching open countryside and an ascent onto a ridge that brought us back into Claverdon, or at least just to the south of the village. 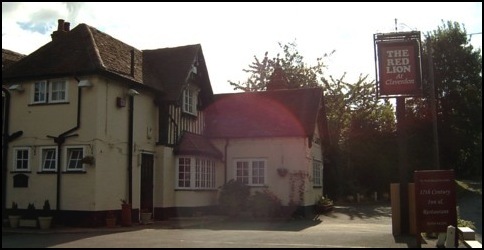 We considered going straight to the Red Lion Inn for food and drink, but it was only 5.30 p.m. and the sun was still shining. 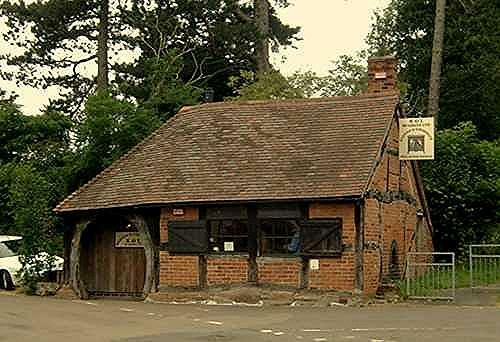 So we had a detour around the village before we enjoyed a very pleasant meal and a couple of pints*. *Larry and me only as Mick was driving. The total distance of the walk was just under 8 miles. 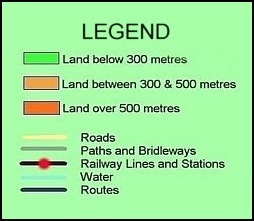 The map Larry used was the Ordnance Survey Explorer Map 220 (Birmingham Area).